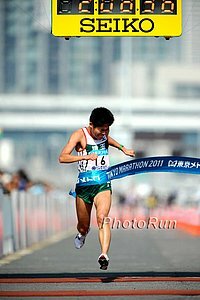 "Going all out, Japanese amateur (Yuki) Kawauchi was barely staying on his feet and nearly fell rounding the final corner (at the Tokyo Marathon), but he kept going to ... (become) a legend. He fainted a few steps across the line and was taken away to the medical area in a wheelchair, unavailable for a post-race interview." - Brett Larner describing the amazing 2:08:37 3rd-place finish by AMATEUR runner Yuki Kawauchi Sunday at the 2011 Tokyo Marathon. Kawauchi, a 13:59 5k guy and 29:02 10k guy, has a full-time job and has purposely avoided the Japanese collegiate and corporate Ekiden system. Message board thread on him here. Sammy Kitwara Wins World's Best 10km (translated) World XC Joseph Ebuya pushed early, but another LRC favorite, Sammy Kitwara came out on top. The big news may be 4th placer WR holder for 10k, Leonard Komon who defied Athletics Kenya and ran the race. They said they were going to kick him off the World XC team. 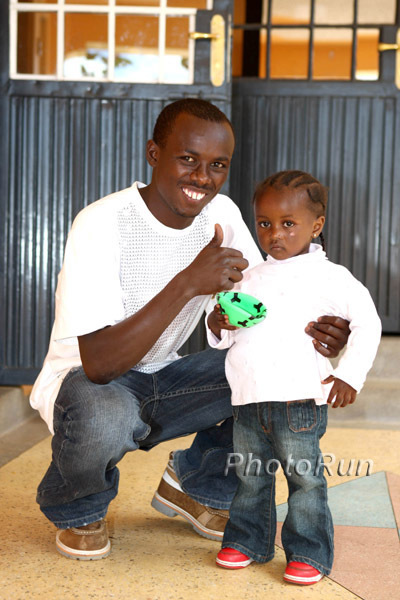 We commend him and wish Linet Masai and Vivian Cheruiyot had run as well if they wanted. Sentayehu Ejigu won the women's crown. We hope to have a better recap article Monday. One Week To Incredible Melbourne Meet: Kiprop Added To 1,500m It will be a stellar way to kick off the 2011 IAAF outdoors season. 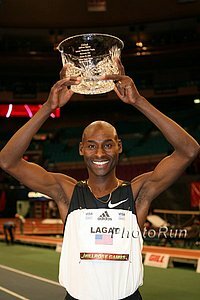 WR holder David Rudisha in the 800, Olympic champ Asbel Kiprop and Nick Willis (and Alan Webb according to this article) in the 1,500, and a great one for American distance fans with Bernard Lagat, Chris Solinsky and Matt Tegenkamp in the 5k (imagine if Rupp had stayed an extra week in Australia). Stockholm: World Junior Records Galore Abubaker Kaki (2:17) went out too fast in his world record attempt (25.5) but still won in the 1k (2:17.55) as Meseret Defar (8:36.91) triumphed in the 3,000m, as American Shalane Flanagan 8:39.18 (#3 time for an American) came up short in her AR attempt. In the 1,500, Abeba Arigawi crushed the reigning world indoor champ with a 4:01.47 and moved up to #10 all-time and announce herself as a potential future star, as Morgan Uceny ran 4:05.35 (#4 all time US). The junior records all belonged to Angelica Bengtsson in the pole vault (4.63). *James Kirani Runs 44.80 World Junior Record At 400m Recap and Video. The Ohio State women won their first ever championship and Minnesota men won their third straight. ACC: Results The Virginia Tech men and Clemson women dominated. The big news was Oregon's 9:26.78 DMR, the #2 time in NCAA history. Elliott Heath 4:00 mile, Jordan Hasay 4:35. Historic Bay To Breakers Race Will Be Celebrating Its 100th Anniversary - Yet Some Think Race Will Be Cancelled After This Year Supposedly the race is losing money. But doesn't everything in California cost more than it brings in? The real [problem appears to be all the drunks on the course and perhaps that is keeping away sponsors. AEG has to have someone smart enough to figure out how to make money on 50,000 entrants. *Comments on SF Gate website worth a read. Ollie Matson Hall of Fame Running Back, Olympic 400m Bronze Medalist (46.8) Dies Our sport's history is amazing as is Matson's story. He was on the 1951 Univ. of San Francisco Team that he called the "greatest of all time" (they went undefeated and are the only college football team with 3 future NFL Hall of Famers on it). However there was one "problem" with the team. It had two black players on it. That meant bowl inviations only if they black players didn't play. The team said no, the team lost $70,000 and the school CANCELLED football the next year. Amazing. Great Frank Litsky writeup.